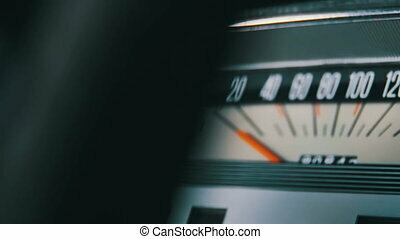 Animation of car dashboard speed rpm meter and automobile icon for transport concept. Vintage speedometer and instrument panel of an old car. 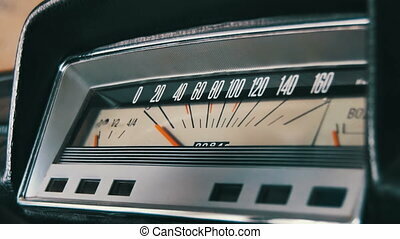 Speed 0 to 160 km. The horizontal scale of measurement. 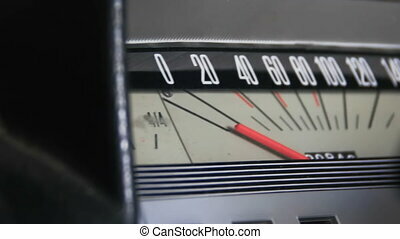 Close up shot of car speedometer, engine switch in cabin, checking before buying. 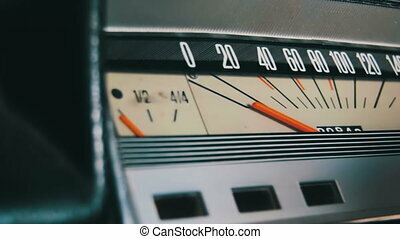 user checks operation of machine, dashboard light turning on ignition, showing modern interface. 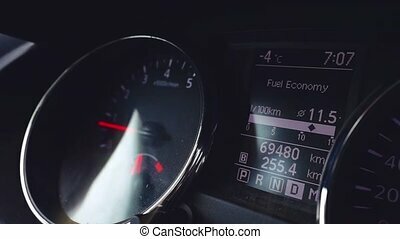 techniques switching on customer cars, come in box on service. 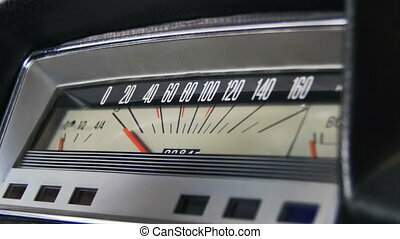 panel with speed, green arrows turn signals, bright lights of all details, figures, numbers, icons on black background. 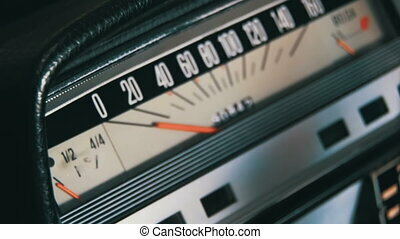 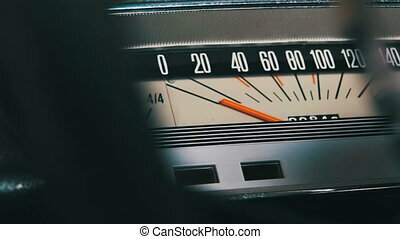 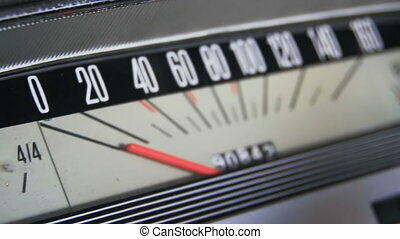 Vintage retro speedometer and instrument panel of an old car. 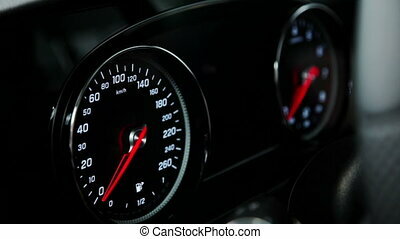 Speed 0 to 160 km. 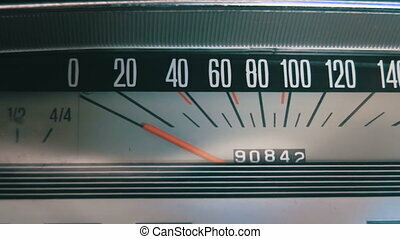 The horizontal scale of measurement.